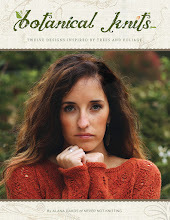 Enter to win a copy of the book, The Knitters Curiosity Cabinet by leaving a comment under this blog post by September 15, 2012. Please do not forget to include your contact information! The giveaway winner will be announced on Episode 66. In my last post I mentioned that I had a big surprise and a special new someone to introduce. I would like you to meet Annie. 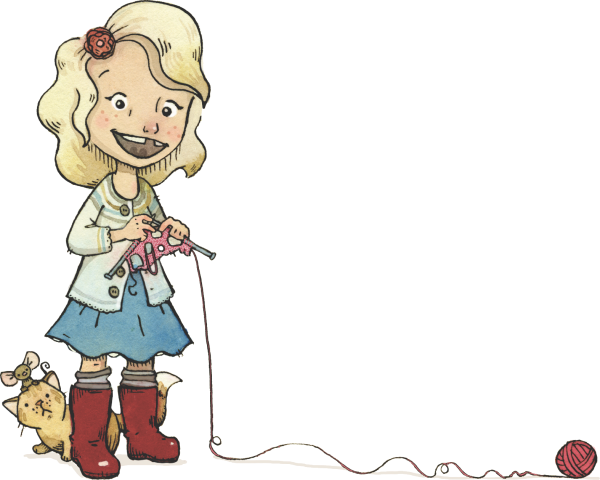 Annie is the main character of a new children's book that I am working on with my daughter and super talented illustrator, Neesha Hudson! 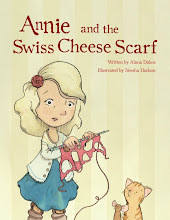 The story is titled Annie and the Swiss Cheese Scarf and is about a little girl who faces the challenges of learning to knit. 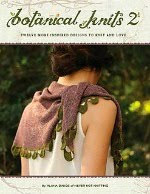 I hope that all of you will visit Annie's brand new website found HERE and enter to win a free book! I am hoping to open up pre-orders sometime in September if everything goes as planned. I have lots of special surprises in store.. I know that it will be a fun-filled next few months for us as we get everything together and finalized. This is obviously our first time working on a project of this nature and we are really enjoying watching this take shape. I can't wait to release this book! 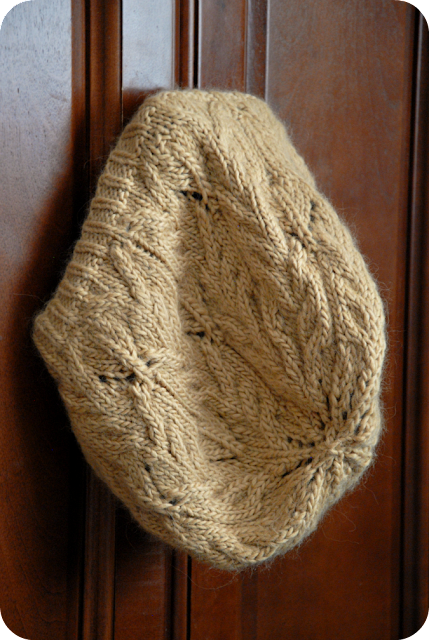 A new one-skein cabled hat design fresh off the needles! This is another piece for my upcoming design collection. I am slowly but surely making progress, and it feels so good to every day get a little bit closer to my goal. Thank you to everyone for your support and patience with me. 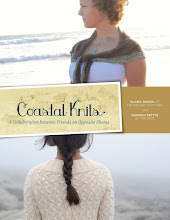 I look forward to releasing all of these new patterns! I bet you can't guess!